Owen Valley Flooring knows that the installation of a new floor by amateurs is never recommended by manufacturers or dealers, because it requires experience Putting in a new floor covering can be a very confusing time for homeowners unless they choose to have the installation completed by seasoned professionals.That’s because there are so many ways to make mistakes that slow the process down and often end up costing more money instead of saving it. It’s a fact: There isn’t anything more depressing than to notice flaws in your brand new floor once it’s completed. Hiring inexperienced installers can often mean that you end up with floors that lift-up at their edges; last for a much shorter time, or are damaged and can’t be repaired requiring more expense to replace the damaged flooring. At Owen Valley Flooring, our Indiana state licensed and insured technicians will install virtually every flooring product including hardwood, ceramic & porcelain tile, natural stone,laminate, vinyl and carpet.We offer the best service at the best price to homeowners in Spencer, Martinsville, Bloomington, Cloverdale, Ellettsville, and other local Indiana communities. 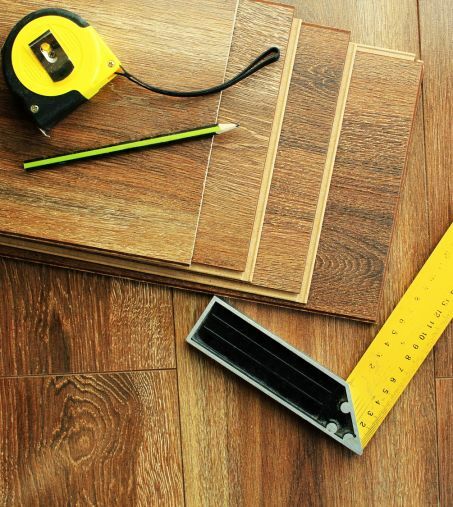 Owen Valley Flooring’s experienced consultants have the expertise to plan and prepare a floor covering installation. We will make updating your home easy whether you only need one room done, or your entire home. The first step of any home remodeling project is to create a workable plan. We offer special services to local area homeowners who need to determine their budget and prepare their home for new flooring installation. Our professional in-home measurement assures the right amount of product is ordered. Our design consultants help you with design specific to your tastes and lifestyle. Make plans to stay away from installation area: Depending of how much of your home is having new floor covering installed, you may want to plan on sleeping at a relatives, or neighbors or even a local hotel. Maybe you just need to make arrangements with a neighbor to use the kitchen or bathroom facilities. Reserve some extra money: Your initial budget should have a variance of about 10%, you may have to order extra product or pay for additional services like removing the furniture. Plan out your schedule: You will definitely want to take some time of work so you can see what is going on with the installation. Also, there may be some decisions you need to make on the actual day of the installation. Rest assured that we will do everything we can to make sure the job is completed on time and in a timely manner. Visit our showroom or call us to talk with one of our installation specialists for your next floor covering installation project.